Foster Farms Brand Chicken is one of the nation’s most popular in both supermarkets and for use in restaurant cooking. But over the last 15 months, at least 574 confirmed cases of Salmonella Heidelberg poisoning have been linked to consumption of this product. And the actual number of victims may be approaching twenty thousand, based on the Centers for Disease Control and Prevention (CDC) estimation that only about 1 in 30 victims of food poisoning seek medical attention. A couple of months ago, NBC News’ Jonel Aleccia estimated the number of actual Foster Farms Brand Chicken salmonella victims to be 16,000, including those who did not seek medical attention and the many who might have but did not provide a stool sample for analysis, something the food safety lawyers at Ron Simon & Associates always encourage potential victims to pursue. This newly revised number of 574 reflects victims identified in 27 states and Puerto Rico, all of whom have been sickened in the last 15 months (illness onset since March 1 of 2013). The CDC’s newest numbers are alarming because the CDC had announced at the beginning of 2014 that the outbreak was believed to have ended. But in March it revised upwards the 430 victims in 23 states to 480 in 25 states. And now, in May of 2014, the official count is 574 in the 27 states plus Puerto Rico. This outbreak is also very dangerous, with over a third of the confirmed salmonella victims requiring hospitalization (there is no estimate of the number of hospitalizations of those who did not provide a stool sample). In addition to this, the outbreak is alarming as the Salmonella Heidelberg strains presenting in this outbreak are resistant to an array of antibacterial drugs, making fighting the infection that much more difficult. 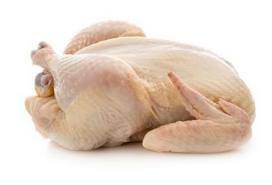 The massive and ongoing infection of consumers by Salmonella Heidelberg is a clear indication that the operations at the Foster Farms production facilities are inadequate and that no proper corrective action has taken place. Foster Farms has now been aware of the problem for over a year and has neither issued a full recall nor corrected the problems. And although it is not clear if there is a direct connection, in January an inspection of the Livingston, California Foster Farms facility uncovered an infestation by cockroaches so significant the facility was closed by the United States Food Safety and Inspection Service (FSIS), a branch of the Unites States Food and Drug Administration (FDA). What is clear, from either the cockroach infestation or the outbreak of salmonella itself, is that Foster Farms Brand Chicken is being produced without proper adherence to safe and sanitary food handling and production practices. Foster Farms, for its part, is boasting that the occurrence of salmonella in its product is below 10 percent, what is considered a low occurrence level. What is clear, however, is that Foster Farms Brand Chicken is the only major brand of poultry currently embroiled in an outbreak of this magnitude and duration. What is also clear is that potential Foster Farms salmonella lawsuits and claims are beginning to mount. 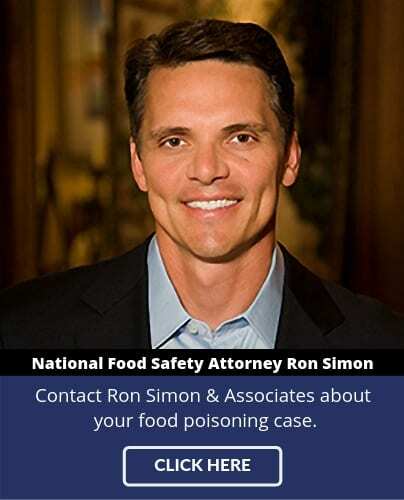 The salmonella lawyers at Ron Simon & Associates are currently representing many victims in the Foster Farms Salmonella Outbreak, most who reside in California, and is actively interviewing others. “The fact that an innocent consumer gets sick after eating a product they purchase form a local grocery store, or a restaurant, is wrong,” says national salmonella lawyer Ron Simon. And the lawyers of Ron Simon & Associates, who have handled thousands of salmonella claims, intend to seek damages, including lost wages, medical costs, and pain and suffering on behalf of its current clients, as well as other potential victims of this outbreak, by filing Foster Farms salmonella lawsuits and/or claims. 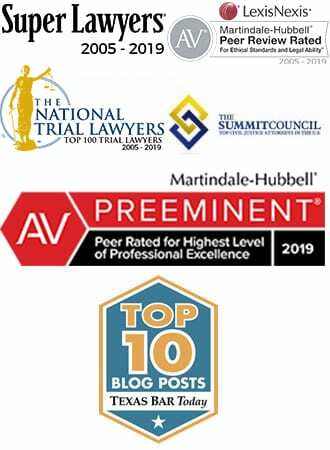 If you or a loved one has been diagnosed with Salmonella Heidelberg, call the attorneys at Ron Simon & Associates at 713-335-4900.